MnDOT is still dedicated to Lilac Way. MnDOT has continued maintaining and planting thousands of lilac bushes along Lilac Way, as part of multiple landscape projects. designed an historically-sensitive landscape plan as part of the reconstruction of Highway 100 into a six-lane freeway. listened as many citizens voiced their interest in preserving the original lilacs at public meetings. protected hundreds of lilacs planted in the late 1930s in their original locations. transplanted more than 500 original ‘vintage’ lilacs to new Highway 100 locations in Brooklyn Center and Robbinsdale. 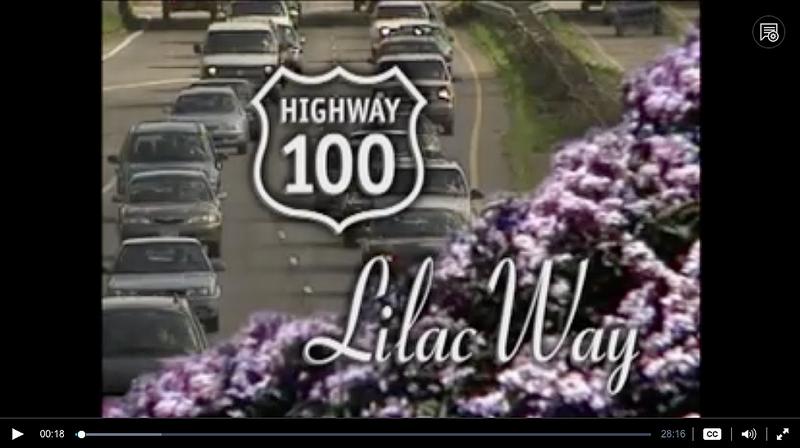 Watch the MnDOT-funded Lilac Way documentary. 2001. Highway 100: Lilac Way. Examines Lilac Way, one of Minnesota’s most historic stretches of roadway, capturing the history of Depression-era WPA-built landmarks along one of the first highways in Twin Cities. Produced by Twin Cities Public TV. This film inspired Karen Laukkonen to create this website. Best of all, MnDOT salvaged materials from three Lilac Way parks before a $100 million Highway 100 construction project. 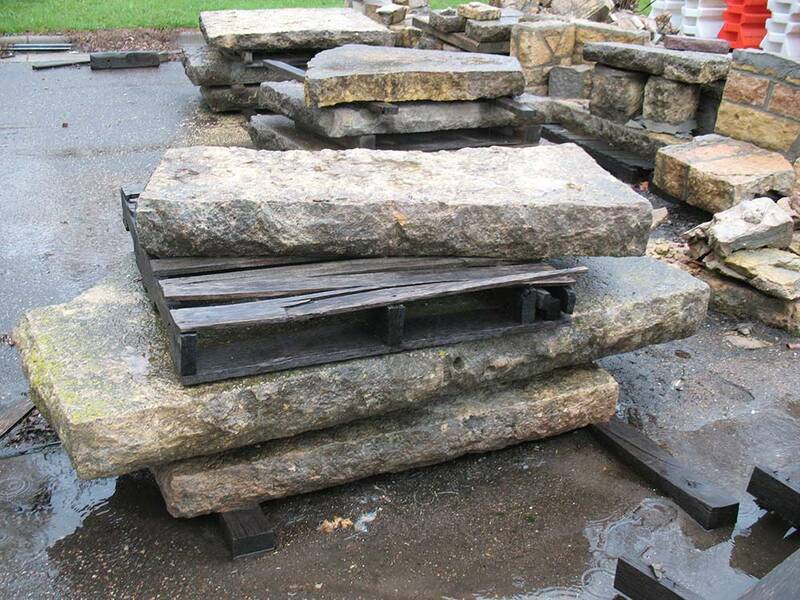 This pile of 1939 Lilac Way picnic tables and beehive materials became known as the ‘Beehive Graveyard’. In 2003, MnDOT was rewarded when their Lilac Way project was recognized by the American Association of State Highway and Transportation Officials (AASHTO). Lilac Way was selected as an AASHTO Legacy Project for its place-sensitive design, strong historic and cultural preservation effort, and extensive community involvement. 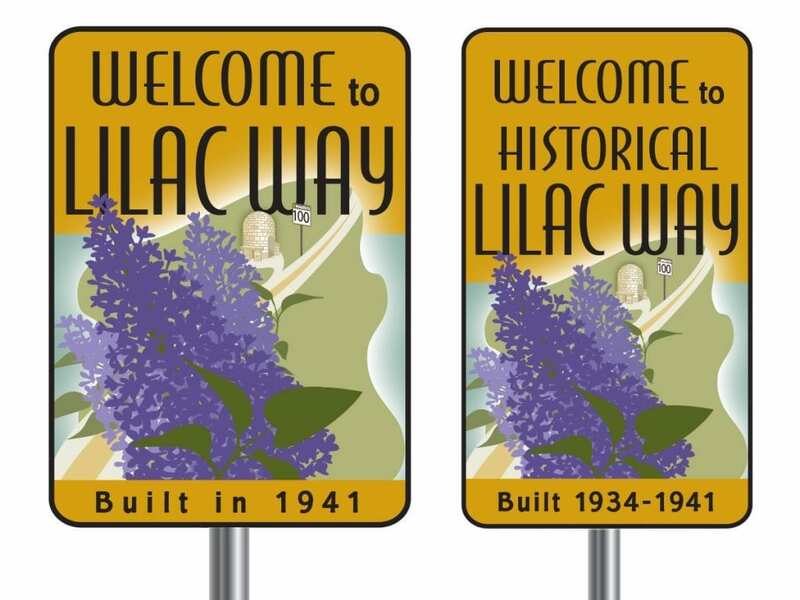 Hey, MnDOT—let’s install signage on Highway 100 to honor Lilac Way’s history. Laukkonen Design has already done the first-round creative, and can edit as needed per your specs. The signs would tie-in to existing signage at the restored Lilac Park on the south, and (hopefully) Graeser Park on the north. Let’s honor MnDOT’s historical efforts, and install signage along Lilac Way. It’s just 12.5 miles of Highway 100 between Highway 52 (now 81) in Robbinsdale, and Highway 5 (78th Street) in Edina. Give Karen Laukkonen a call to discuss at 952.929.1242. According to MnDOT’s Paul Walvatne, Environmental Services (now retired), moving (transplanting) existing shrubs is rarely done by MnDOT since it is typically more cost-effective to plant 2-3′ tall bare-root shrubs and let them continue to grow. In the case of Lilac Way, moving 60+ year old lilacs saved part of the area’s history. By partnering with the adjacent Cities, the costs for moving and maintaining the vintage plants compared favorably to starting with new plants. Paul credits the 1930s vision of Arthur Nichols, MnDOT’s (then MN Highway Department) landscape architect, for the first ‘Lilac Way’ in the country. Nichols wanted to create an attraction that would draw visitors to Minneapolis.